When at the end of the road we find that we can no longer function as a human being, either with or without drugs, we all face the same dilemma. What is there left to do? There seems to be this alternative: either go on as best we can to the bitter ends – jails, institutions or death – or find a new way to live. In years gone by, very few addicts ever had this last choice. For the first time in man’s entire history, a simple way has been proving itself in the lives of many addicts. It is available to us all. 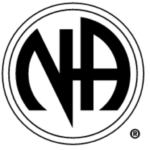 This is a simple spiritual – not religious – program, known as Narcotics Anonymous. Use the Contact Us page to inform us of updates for this website, to alert us about an NA activity that needs promotion, or to be contacted by a trusted servant. Are You New to N.A. ?